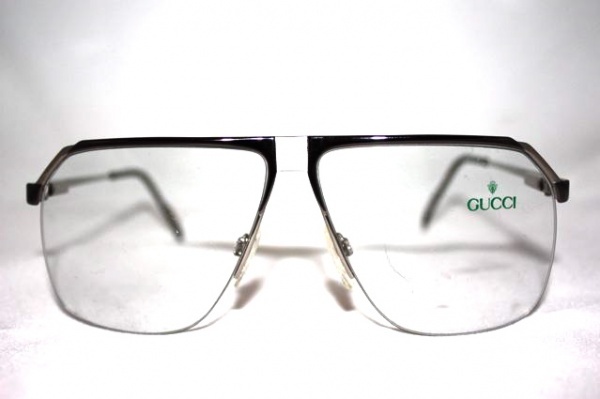 Gucci 1202 glasses are a distinct look in eyewear from the 1980s. Made in Italy, the aviator-style glasses feature spring temples and large lenses held in place with a thin silver frame. Brimming with character, these frames are a great alternative to your typical aviator. Check them out online.